You know that certain former light heavyweight champ Jon Jones refuses to talk about until after Saturday’s title fight with reigning king Mauricio “Shogun” Rua? Well, there will be plenty of more questions coming his way based off Dana White’s comments on MMA Live. “We gotta see who comes out of this fight, whether they come out unscathed. If the guys are ready to roll again with no injuries, yeah, Rashad [Evans] is definitely next in line,” the UFC president told the ESPN2 crew, which included Evans. Although both teammates initially refused to fight for real, it appears they have taken a wait-and-see approach as UFC 128 steadily approaches. “Jon needs to focus on Shogun and whatever happens between us is going to happen,” Evans said. The obvious elephant in the room is the fact Shogun didn’t became champion by accident. After rattling off wins in three of his last four contests, the Brazilian appears to have recaptured his mojo and should be firing on all cylinders now that his knee has been properly repaired. At the same time, Shogun and Jones are scheduled to go 25 minutes this Saturday inside the Prudential Center in Newark, New Jersey. So let’s see what the injury report reads following their shootout. Evans was slated to challenge Shogun for his belt this weekend, but was replaced by “Bones” after injuring his knee last month. 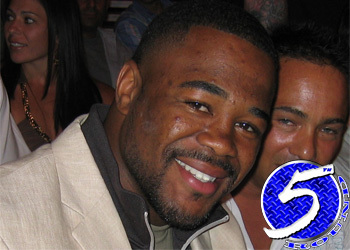 “Sugar” hasn’t been seen since hanging a unanimous decision win on Quinton “Rampage” Jackson in May 2010.